What is a Sims 3 Lifetime Wish? The Sims 3 Lifetime Wishes are what each Sim aspires towards becoming. This wish is generally connected with their career goal, but Sims like real people often change jobs so it doesn’t necessarily mean that. When a Sim fulfills their lifetime wish, they are awarded with a large amount of Lifetime Happiness Points. If the Sim has the Ambitious Trait, they will receive a little more than regular Sims. This guide will give the amount awarded for ambitious Sims and how to achieve their wish. There are many Sims 3 lifetime wishes available for your Sims. Just like real people, Sims have many different wishes depending on their traits too. Become a Creature-Robot Cross Breeder – goal is to achieve level 9 in the Science Career track. This wish once fulfilled gives 29,000 Lifetime Happiness Points. Traits associated with the wish: Green Thumb, Angler, Handy and Insane. Become a Master Thief – goal is to achieve level 10 in the Criminal Career track as a thief. This wish once fulfilled gives 32,500 points. Traits associated with the wish: athletic and kleptomaniac. Become a Superstar Athlete – goal is to achieve level 9 in the Sports Career track. This wish once fulfilled gives 29,000 points. Traits associated with the wish: athletic and party animal. Become an Astronaut – goal is to achieve level 10 in the Military Career track. This wish once fulfilled gives 30,000 points. Traits associated with the wish: athletic, brave, daredevil and handy. Bottomless Nectar Cellar – goal is to have at least 50 bottles of nectar in your nectar cellar (requires The Sims 3: World Adventures). This wish once fulfilled gives 30,000 Lifetime Happiness Points. Traits associated with the wish: snob, green thumb and natural cook. Celebrated Five-Star Chef – goal is to achieve level 10 in the Culinary Career track. This wish once fulfilled gives 30,000 points. Traits associated with the wish: vegetarian, natural cook and green thumb. CEO of a Mega Corporation – goal is to achieve level 8 in the Business Career track. This wish once fulfilled gives 27,500 points. Traits associated with the wish: schmoozer, snob, ambitious and charismatic. Chess Legend – goal is to max Logic Skills and reach level 5 in pro chess. This wish once fulfilled gives 30,000 points. Traits associated with the wish: genius and computer whiz. Culinary Librarian – goal is to learn all of the cooking recipes available. This wish once fulfilled gives 30,000 points. Traits associated with the wish: vegetarian and natural cook. Descendant of Da Vinci – goal is to max inventing, painting and sculpting skills (requires The Sims 3: Ambitions). This wish once fulfilled gives 40,000 points. Trait associated with the wish: savvy sculptor. Emperor of Evil – goal is to achieve level 10 in the Criminal Career track in the Evil path. This wish once fulfilled gives 32,500 points. Traits associated with the wish: evil, mean spirited and ambitious. Fashion Phenomenon – this sims 3 lifetime wish’s goal is achieve level 10 in the Stylist Profession (requires The Sims 3: Ambitions). This wish once fulfilled gives 30,000 points. Traits associated with the wish: snob and charismatic. Firefighter Super Hero – goal is to save 30 Sims while on the job as a Firefighter (requires The Sims 3: Ambitions). This wish once fulfilled gives 30,000 points. Trait associated with the wish: brave. Forensics Specialist – Dynamic DNA Profiler – goal is to achieve level 10 in the Law Career track in the Forensics path. This wish once fulfilled gives 30,000 points. Traits associated with the wish: good and computer whiz. 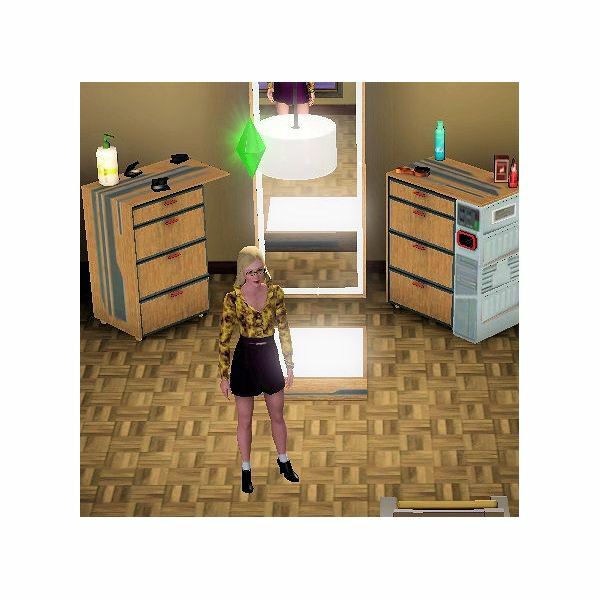 Gold Digger – goal is to see the ghost of your Sim’s dead spouse. This wish once fulfilled gives 20,000 points. Traits associated with the wish: commitment issues, insane, mooch and mean spirited. Golden Tongue / Golden Fingers – goal is to max Charisma and Guitar skills. This wish once fulfilled gives 30,000 points. Traits associated with the wish: charismatic, good sense of humor, virtuoso and great kisser. Great Explorer – goal is to fully explore all 6 tombs in each of the travel destinations (requires The Sims 3: World Adventures). This wish once fulfilled gives 35,000 points. Traits associated with the wish: brave, adventurous and daredevil. Heartbreaker – goal is for your Sim to have 10 boyfriends or girlfriends. This wish once fulfilled gives 35,000 points. Traits associated with the wish: flirty, party animal, great kisser and commitment issues. Hit Movie Composer – goal is to achieve level 10 in the Music Career track in the Symphonic path. This wish once fulfilled gives 30,000 points. Traits associated with the wish: genius, artistic, hopeless romantic and virtuoso. Home Design Hotshot – goal is to have 100 top reviews from your designs (requires The Sims 3: Ambitions). This wish once fulfilled gives 30,000 points. Trait associated with the wish: artistic. Illustrious Author – goal is to max painting and writing skills. This wish once fulfilled gives 30,000 points. Traits associated with the wish: bookworm, artistic and loner. International Super Spy – goal is to achieve level 10 in the Law Career track in the Special Agent path. This wish once fulfilled gives 30,000 points. Traits associated with the wish: athletic, childish, brave and computer whiz. Jack of All Trades – goal is to achieve level 5 in 4 different career tracks. This wish once fulfilled gives 35,000 points. Traits associated with the wish: commitment issues, childish and workaholic. Leader of the Free World – goal is to achieve level 10 in the Political Career track. This wish once fulfilled gives 30,000 points. Traits associated with the wish: ambitious, charismatic, schmoozer and friendly. Living in the Lap of Luxury – goal is to have a net worth of $100,000. This wish once fulfilled gives 32,500 points. Traits associated with the wish: ambitious, kleptomaniac, mooch and snob. Martial Arts Master – goal is to reach level 10 in the Martial Arts skill (requires The Sims 3: World Adventures). This wish once fulfilled gives 30,000 points. Traits associated with the wish: athletic, daredevil, brave and disciplined. Master of the Arts – goal is to max painting and guitar skills. This wish once fulfilled gives 30,000 points. Traits associated with the wish: artistic and virtuoso. Monster Maker – goal is to make 3 monsters either SimBots or Mummies (requires The Sims 3: Ambitions). This wish once fulfilled gives 25,000 points. Trait associated with the wish: genius. Paranormal Profiteer – goal is to achieve level 10 in the Ghost Hunter profession (requires The Sims 3: Ambitions). This wish once fulfilled gives 30,000 points. Trait associated with the wish: eccentric. Perfect Mind, Perfect Body – goal is to max athletic and logic skills. This wish once fulfilled gives 30,000 points. Traits associated with the wish: athletic, perfectionist, genius and loves the outdoors. Pervasive Private Eye – goal is to solve 35 cases as a Private Investigator (requires The Sims 3: Ambitions). This wish once fulfilled gives 30,000 points. Trait associated with the wish: perceptive. Physical Perfection – goal is to max athletic and martial arts skills (requires The Sims 3: World Adventures). This wish once fulfilled gives 27,500 points. Traits associated with the wish: brave, athletic and disciplined. Presenting the Perfect Private Aquarium – goal is to have 13 different types of perfect quality fish in fishbowls around your house. This wish once fulfilled gives 32,500 points. Traits associated with the wish: angler, perfectionist and loves the outdoors. 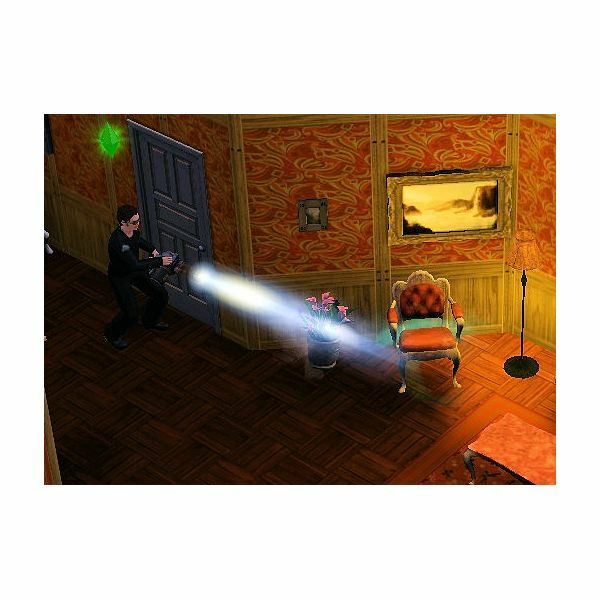 Possession is Nine Tenths of the Law – goal is to possess at least $50,000 worth of stolen items (requires The Sims 3: Ambitions). This wish once fulfilled gives 30,000 points. Trait associated with the wish: kleptomaniac. Private Museum – goal is to have a relic collection worth $20,000 (requires The Sims 3: World Adventures). This wish once fulfilled gives 32,000 points. Traits associated with the wish: adventurous and snob. Professional Author – goal is to make at least $4,000 each week in royalties from books you wrote. This wish once fulfilled gives 32,500 points. Traits associated with the wish: bookworm, loner and couch potato. Renaissance Sim – goal is to max any 3 skills. This wish once fulfilled gives 35,000 points. Traits associated with the wish: commitment issues and workaholic. 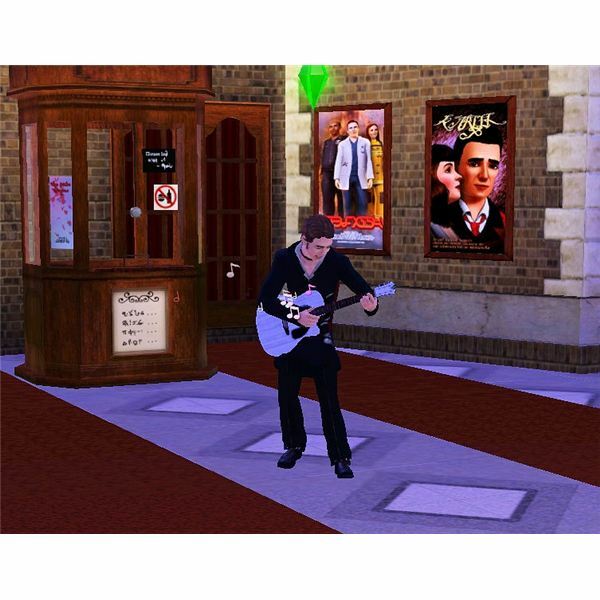 Rock Star – goal is to achieve level 10 in the Music Career track in the Rock path. This wish once fulfilled gives 30,000 Lifetime Happiness points. Traits associated with the wish: artistic, party animal and virtuoso. Seasoned Traveler – goal is to get your Sim’s VISA level to 3 in all 3 destinations (requires The Sims 3: World Adventures). This wish once fulfilled gives 60,000 points. Traits associated with the wish: adventurous and perfectionist. Star News Anchor – goal is to achieve level 10 in the Journalism Career track. This wish once fulfilled gives 30,000 points. Traits associated with the wish: bookworm, charismatic, friendly and artistic. Super Popular – goal is to have 20 friends. This wish once fulfilled gives 30,000 points. Traits associated with the wish: charismatic, friendly, party animal, schmoozer and mooch. Surrounded by Family – goal is to raise 5 babies from infant stage to teenager. This wish once fulfilled gives 35,000 points. Traits associated with the wish: family oriented and friendly. Swimming in Cash – goal is to have $50,000. This wish once fulfilled gives 35,000 Lifetime Happiness points. Traits associated with the wish: ambitious, frugal, mooch and snob. The Perfect Garden – goal is to grow 8 perfect plants on your lot at one time. This wish once fulfilled gives 32,500 points. Traits associated with the wish: green thumb, loves the outdoors, perfectionist and natural cook. The Tinkerer – goal is to max logic and handiness skills. This wish once fulfilled gives 30,000 points. Traits associated with the wish: handy, genius and computer whiz. 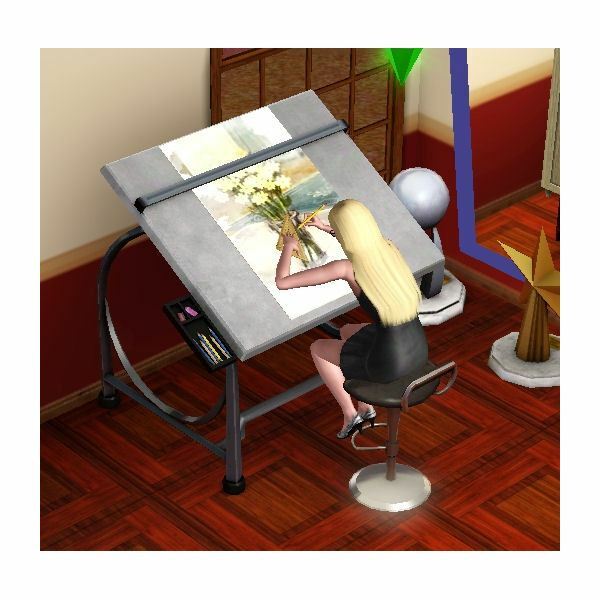 Visionary – goal is to max painting and photography skills (requires The Sims 3: World Adventures). This wish once fulfilled gives 30,000 points. Traits associated with the wish: photographer’s eye, loves the outdoors and artistic. World Class Gallery – goal is to take 10 photos in each travel destination and have a collection worth at least $25,000 in your house (requires The Sims 3: World Adventures). This wish once fulfilled gives 32,500 points. Traits associated with the wish: photographer’s eye and artistic. World-Renowned Surgeon – goal is to achieve level 10 in the Medical Career track. This wish once fulfilled gives 32,500 points. Traits associated with the wish: bookworm, good, workaholic and friendly.